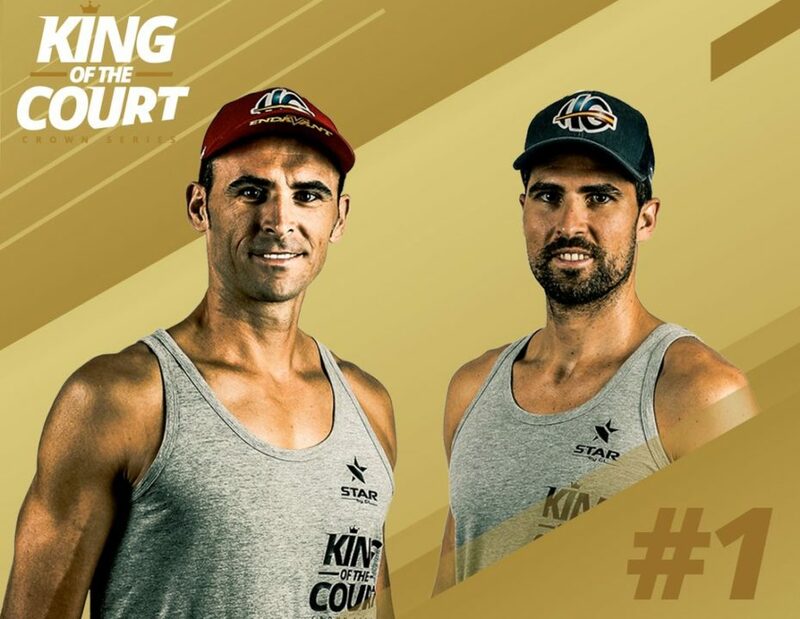 Spain’s Pablo Herrera/Adrian Gavira won the first leg of the King of the Court Crown Series in Utrecht, outlasting 14 other teams for the title and $15,000 payday. The Spaniards bested Dutchman Alexander Brouwer and Russian Oleg Stoyanovskiy, who paired up when Brouwer’s partner Robert Meeuwsen was unavailable due to a lingering injury, and Dutch duo Jasper Bouter/Christian Varenhorst. Austria’s Clemens Doppler/Alexander Horst were honored for the longest stay on the King side of the court in the finals. Advancing through Group 1 were Herrera/Gavira, Doppler/Horst and Brazil’s Bruno Schmidt/Pedro Solberg Salgado. In Group 2, Brouwer/Stoyanovskiy, Latvia’s Aleksandrs Samoilovs/Martins Plavins and Russia’s Ilya Leshukov/Konstantin Semenov moved on. Bouter/Varenhorst, defending FIVB World Tour Finals champs Anders Mol/Christian Sorum, Americans Taylor Crabb/Jake Gibb and Germans Julius Thole/Clemens Wickler went through to the semifinals. In the five-team groups in the semifinals, Herrera/Gavira and Varenhorst/Bouter moved on from Group 1, while Brouwer/Stoyanovskiy and Doppler/Horst made it through Group 2. It is quick turnaround for the 15 teams competing on the European legs of the series, as they head to Antwerp, Belgium for Saturday’s event. Live streaming of Saturday’s matches is available below.